It's April Fool's Day, but this is no joke y'all. 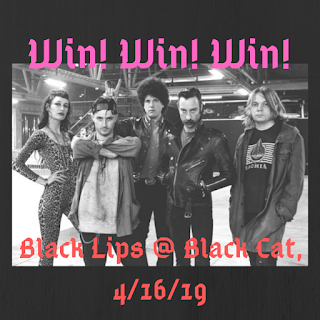 I've got my hands on a pair of tickets to see the one and only Black Lips at the one and only Black Cat on April 16. 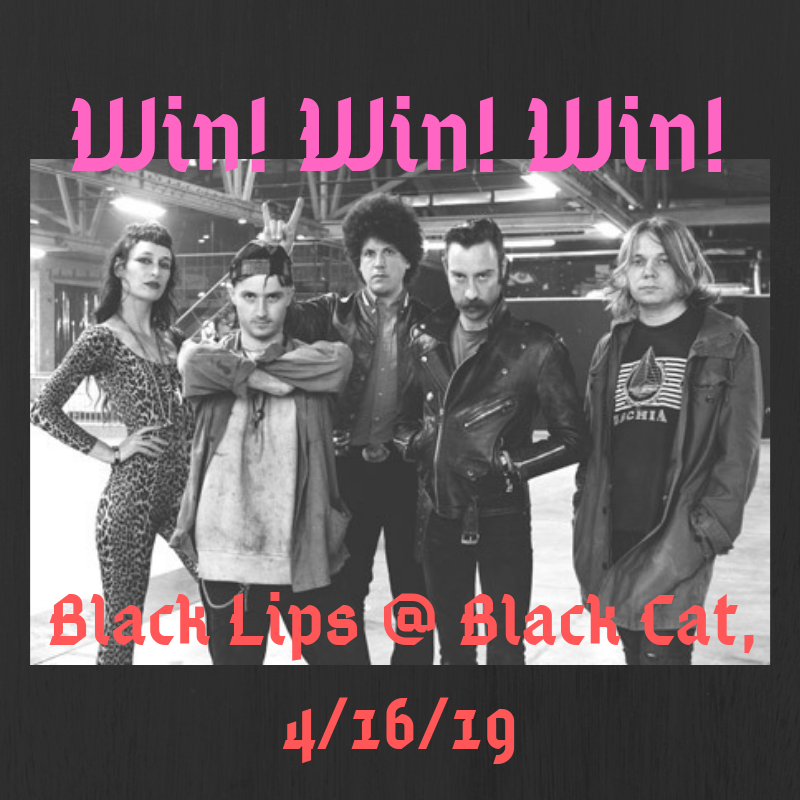 The Lips are some of the wildest, craziest, far out-est rock and roll hellcats you'll ever see live, and seeing them at the Black Cat is something you'll probably remember for a good many years to come. I've seen them a few times and they've always been ear piercingly good, so don't miss out. To win the tickets, send me a message and tell me who you'd take with you to see these Georgia hellions. Make it good. If you're wanting to just go ahead and buy your tickets now (always wise), do so hither. FINE PRINT: Contest is for two (2) tickets to this here show. Contest closes at noon Eastern on MONDAY, 4/16/19. Good luck!